No 23 St Finbarrs Tce. With the huge demand for city centre properties, prices continue to climb, but Colleran Auctioneers' next auction provides an excellent opportunity for a would-be home owner to get on the property ladder. 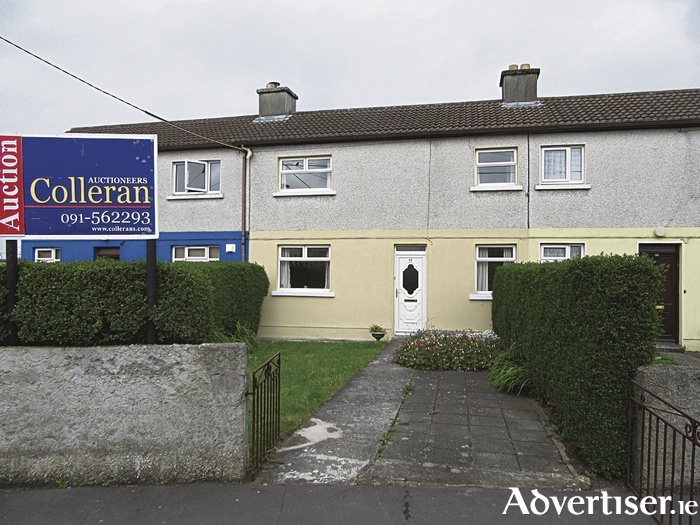 Collerans is offering an extended three bedroom terrace house at 23 St Finbarrs Terrace, Bohermore, guiding only €140,000. Located less than a 10-minute stroll from Eyre Square, it has most necessary conveniences on its doorstep. The excellent well maintained accommodation includes entrance hall, sitting room, new kitchen, new ground floor bedroom, and three bedrooms on the first floor. There is a front and back garden, and double glazed windows. Due to its city centre location and spacious accommodation, this property offers better value than most city apartments. it is for sale by public auction on July 6 with an AMV of €140,000. Viewing is strongly recommended for first time buyers and investors. Open viewings Saturday 1.45pm to 2.15pm. For further details contact Colleran Auctioneers 091 562293.